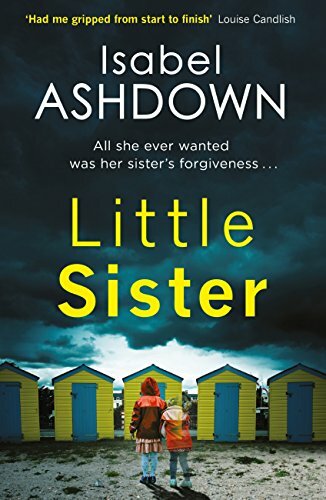 Little Sister by Isabel Ashdown starts with a fairly short but almost too powerful prologue which really does leave you wondering just what is to come. These are two sisters with a history. Just what that history is is not apparent from the start however it is clear that it has had a major impact on their relationship. As a result of this they have not been in touch with each other for some years. The situation now appears far better however Emily’s baby girl goes missing while in the care of Jess, her sister. In a sense this feels quite a conventional story; two sisters who have history, a missing child, police enquiries, liaison officers and the like. There is a simplicity to the writing that worked well for me and the story moves gradually to the reveal. That simple telling has a darkness to it and uncertainty grows in the dark. It quickly became a book I was not going to put down easily. Throughout this book there is a sense of dread over what might happen next and what the outcome will be. There was a fairly big twist in the storyline around halfway through which I’m happy to admit I did not see coming! In the end I think this is a deceptively simple story told with deceptively simple writing – it hooked me.